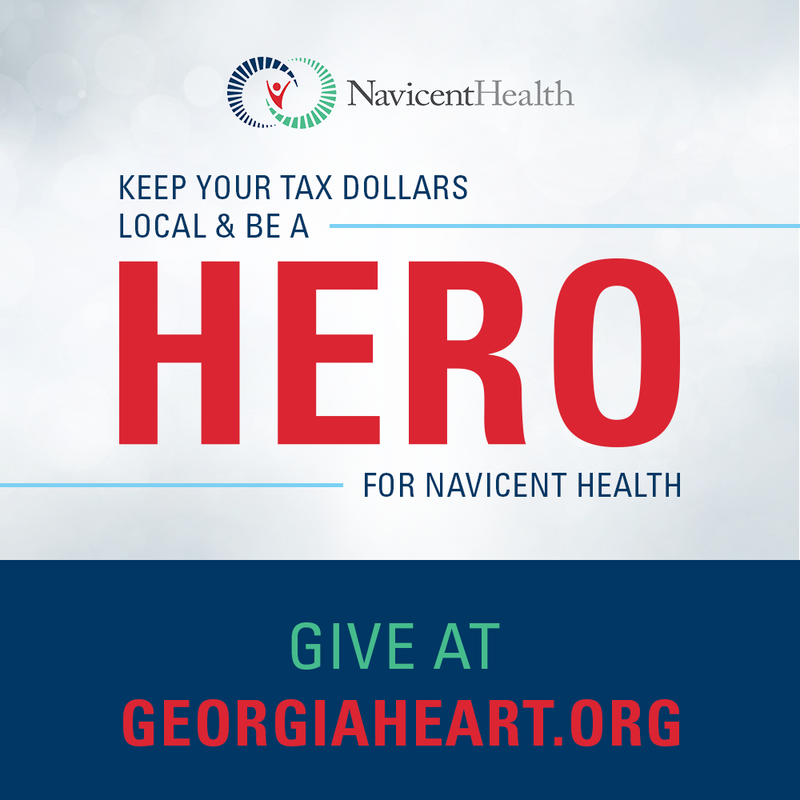 The American Hospital Association (AHA) today announced that Navicent Health of Macon, Ga. will receive the 2018 AHA Equity of Care Award. The award recognizes hospitals and health systems for their efforts to reduce health care disparities, and advance diversity and inclusion to support the goals of the National Call to Action to Eliminate Health Disparities, of which the AHA is a founder. In addition, Rush University Medical Center, Chicago, Ill.; Atrium Health, Charlotte, N.C.; Regional Health, Rapid City, S.D. ; and Cone Health, Greensboro, N.C. will be recognized as honorees. The award will be presented July 27 at the AHA Leadership Summit in San Diego. The AHA Equity of Care Award is awarded annually and was created to recognize outstanding efforts among hospitals and health care systems to advance equity of care to all patients, and to spread lessons learned and progress toward achieving health equity. Applicants from across the country showcased measurable improvement in the performance of equity, diversity and inclusion within the hospital, health system or community, and provided clear models for the field. Since committing to AHA’s Equity 123 pledge in 2015, Navicent Health has taken measurable steps to improve diversity, inclusion and health equity and has demonstrated comprehensive gains in addressing the health disparities in the community it serves. During fiscal year 2014-2015, Navicent Health made a commitment to document health outcomes by evaluating race, ethnicity, and language (REaL) preference data collected at the time of admission in patients with certain conditions. As a result, programs were created to help influence social determinants of health and improve condition-specific access to clinics for diabetes, heart failure and chronic obstructive pulmonary disease (COPD). Since then, Navicent Health has resolved readmission health disparities among African American patients with COPD, heart failure, and diabetes, as well as health disparities among females with diabetes. In addition, it is improving the overall readmission disparity among African Americans. “We are thrilled at all that our Healthy Communities program has accomplished in such a brief time frame. We are taking measurable steps to improve the health of individuals, minimizing disparities and ensuring equity for all. Recognition from AHA is a testament to the work taking place at Navicent Health each day. We are humbled by this recognition, and grateful to serve our community,” said Dr. Ninfa M. Saunders, FACHE, President and CEO of Navicent Health. Navicent Health’s dedication to health equity also resulted in the development of a cultural competency and engagement program, which supported patients, employees, associates, physicians, vendors and other partners in 2017. In addition, the Navicent Health Board follows a competency-based performance guide in recruitment, selection and re-appointment of board members. Each year, Navicent Health uses an assessment to identify gaps and opportunities in talent and diversity on the board. Since implementing this tool, diverse board membership and board committee leadership increased to 35.3 percent and 41.6 percent, respectively in 2018. Atrium Health – Charlotte, N.C.
Atrium Health achieved collection of 90 percent of race, ethnicity, and language preference data, and created an electronic scorecard, which is available to leaders across the system. The electronic scorecard includes selected population health, quality and clinical outcome measures along with teammate and patient experience data. The tool arranges the REaL data across dimensions of race/ethnicity, and gender and location, allowing organization leaders to identify gaps in outcomes across populations and attain more targeted interventions. Cone Health – Greensboro, N.C.
To better serve its communities, Cone Health formed a data analytics team that provides strategic support for not only collecting REaL data but also for designing interventions to address disparities and improve care. In the fall of 2017, the network adopted a new strategic priority prompting the team to take a system approach to equity. Cone Health’s CEO commissioned its leadership team to take unconscious bias training. Having better understood the value and need for this awareness, Cone Health extended the training to its directors, and the training is now being developed to engage frontline staff. The unconscious bias training will be added to a number of already developed health equity trainings focused on issues such as cultural competency and cultural humility. Regional Health –Rapid City, S.D. In 2016, Regional Health launched a system wide effort to create awareness focused on cultural competency education within a 12-month period. As a result, 60 percent of caregivers participated in face-to-face training. This included special sessions created for medical staff. In 2017, this training was extended to all new caregivers on their first-day orientation. In 2018 an additional session was included on their 90th-day follow-up orientation. Regional Health also developed a job shadowing program for Native American students and organizations focused on eliminating social and economic disparities. In addition, Regional Health has consciously worked to diversify the members of its board governance. The System increased racial diversity on its board from zero percent to a current 15 percent. Rush University Medical Center – Chicago, Ill. Since 2007, Rush has shown dedicated commitment — with sustained growth and performance — to address diversity, inclusion and health equity. In 2017, Rush led the formation of West Side United, a collaborative comprised of residents, health care organizations, businesses, government agencies and community organizations with the goal of reducing by half the 16-year life expectancy gap in half among Chicago’s West Side and the Loop by 2030. Using a strategy of hiring, buying and sourcing, investing, and volunteering locally, Rush is committing to hire more than 1,000 employees and investing $2 million annually in the West Side over three years.